Experts are struggling to explain these scary pictures. From ectoplasm in a 1912 seance to some eerie visitors in a British museum, these bizarre photos are sure to give you the chills. 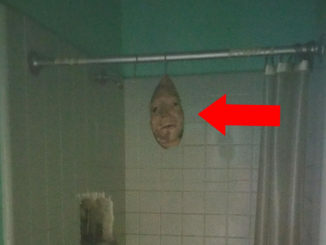 This scary picture surfaced recently and it’s scaring the heck out of Facebook users. In late 2018 this photo appeared on a few paranormal Facebook groups and users were at a loss to explain what was happening. 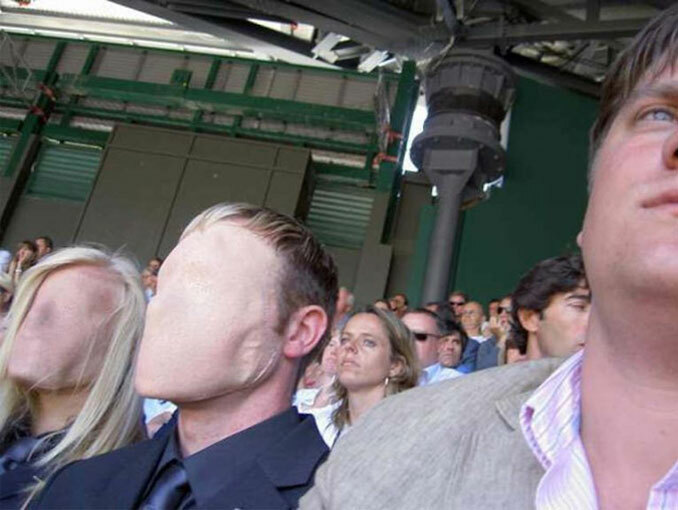 While it’s clear that there are two people in the crowd with no face what-so-ever, a rational explanation seems to have eluded experts. Digging a little deeper, there’s almost no information about where this photo was taken and who the people are. It appears to be taken at a sporting event of some kind but that’s where the information ends. Some commentators accused these people of being shape shifting aliens. Other users called it a simple Photoshop job. However, if you look closely, the man on the right has a faint line running along his cheek. This suggests that perhaps they’re wearing latex masks of some kind. But this observation only raises more questions. Why are they wearing masks and why isn’t anyone in the crowd reacting to the chilling sight? 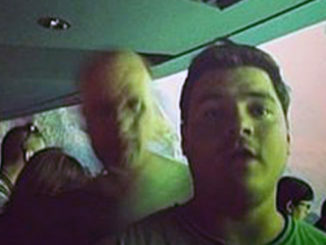 If anyone has more information on this scary picture, please let us know in the comments below or on any of our socials. 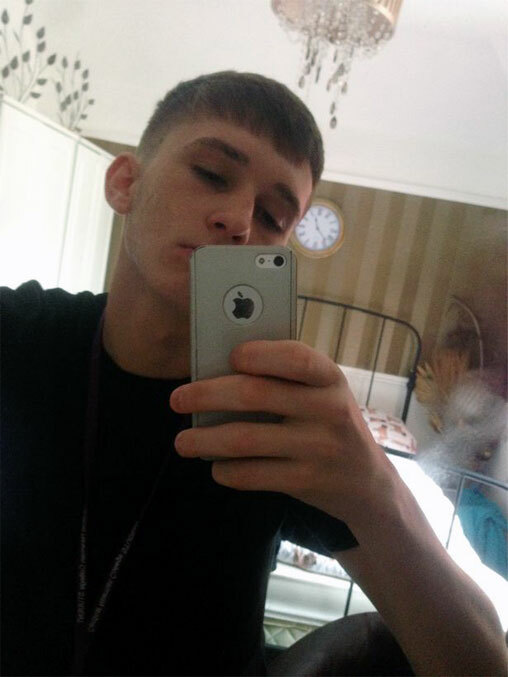 A teenager in Lancashire, England has captured a strange entity in a selfie and it’s freaking the Internet out. In mid-2017, Niall Day posted a seemingly innocuous selfie to his Facebook page without thinking anything of it. 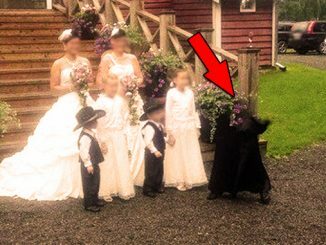 Sometime later his grandma messaged him saying that she believes there’s a ghost captured in the photo. 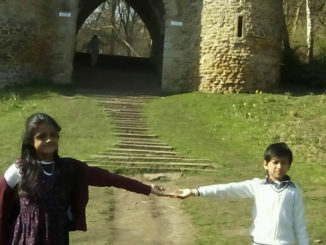 If you take a look at the picture there is a strange grey entity to the right of shot. It almost looks like a puff of smoke, with parts of it catching the light through the window. The family believes it looks like an old man smiling for the camera. According to statements taken from various members of the family, the house has been haunted since the day they moved in. Eerie things seem to happen all the time. Haunting moans are often heard down the hallway at nighttime. Objects move on their own and a shadow figure has been spotted a number of times. Niall said that he woke up one night to see a ghost-like figure lurking in the corner of his room. Apparently, it was growling at him. He said it was like something out of the film Insidious. He screamed and his dad ran to the room. The entity would disappear then reappear. The dad said even he too saw the terrifying shadow figure. According to reports from neighbours, the house has been haunted for as long as they can remember. They say a ghost can be seen staring out of the top bedroom window, which so happens to be Niall’s room where this photo was taken. 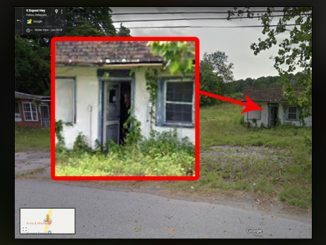 Can this photo be taken as evidence that this family is haunted? Or is there a simpler explanation? This photo was taken at a seance in 1912. 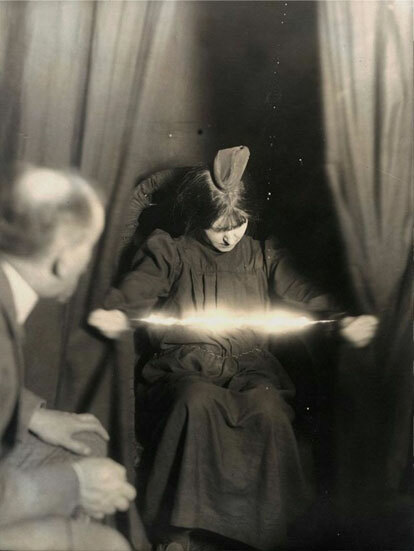 It purportedly shows the sudden appearance of a string of light between a medium’s hands and a ball of ectoplasm appearing on her head. The woman is Marthe Beraud, also known as Eva Carriere. Eva was a controversial figure at the height of the spiritualist movement in the early 20th century. She believed she could contact spirits of the dead and that ectoplasm and strings of light were signs that ghosts were in the room. Her experiments were often scrutinized by notable public figures such as Sir Arthur Conan Doyle and Harry Houdini. Doyle believed that Eva’s seances were real and that she had a genuine connection with the afterlife. Houdini however, thought that she was a fraud. He likened her performance to simple, sleight-of-hand magic tricks. The photo is an interesting one. Considering that digital image manipulation wasn’t available till many years later it would be hard to fake such an image. Investigators at the time did often note that they believe they saw strings and other strange implements that could have been used to deceive the audience. What do you think? Was Eva a genuine medium that could contact the dead, or was it all an elaborate performance designed to make some quick money? Love to get your opinions on this one in the comments below. This scary picture seems to show two eerie ghosts standing in an empty museum showroom. In late-2018, in Bethnal Green, east London, grandma, Jane Cunningham, took some snaps of her family while out the front of the V&A Museum of Childhood. At the time she couldn’t have known the chilling pictures that would be captured. In the background of the photo there are two women staring eerily at the camera. The figure on the right, looks pale and lifeless and appears to be wearing traditional Chinese attire. She seems to be, paradoxically, both inside and outside of the building at the same time. Her head looks like it’s in front of the security grate, while her body is clearly inside the building. 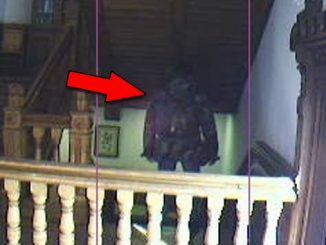 The figure on the right is cast in shadow and almost looks to be floating in mid-air. Both of the women look out of place and have a real otherworldly feel about them. 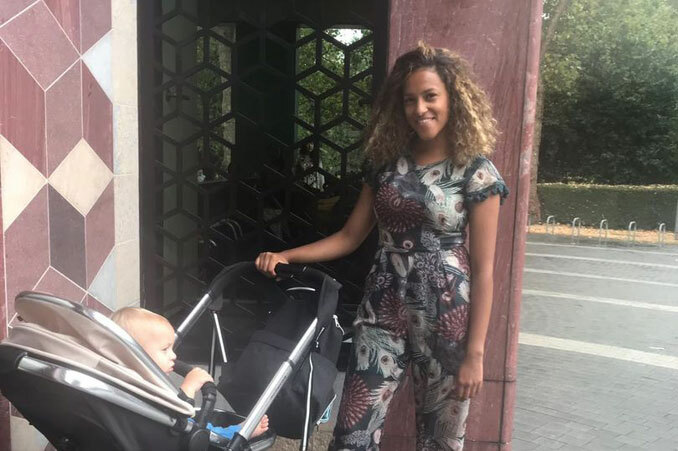 Ms Cunningham, who took the photo, claims that the room of the museum that the figures are seen in, is used for storage and definitely couldn’t have had people in it because it was packed full of prams and boxes. The strange event inspired Ms Cunningham to do some research on the building. She discovered that it was once owned by a family of good social standing in the 18th century. However, money for renovations ran dry and women were invited to come live in the building to help decorate and finish the construction. Conditions were allegedly bad and in effect the project became somewhat of a labor camp. It’s believed that the figures seen in the photo are the ghosts of two Chinese women who were forced to work on renovating the building. Ms Cunningham identifies as a spiritual person and states that she’s seen ghosts since she was in her teens. 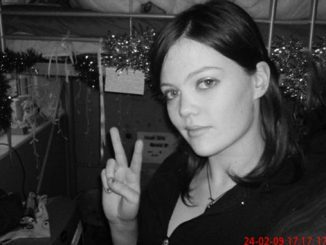 She claims she’s made contact with the spirit of a seven-year-old girl in her apartment. She said that the spirit needed identifying before it could pass on to another realm. So could Ms Cunningham’s knack for paranormal encounters have evoked the strange vision at the museum? Without further information, we may never know. Rumour has it that this scary picture appeared on a forum in the dark web. It came with a warning that it was cursed and should never be printed out. 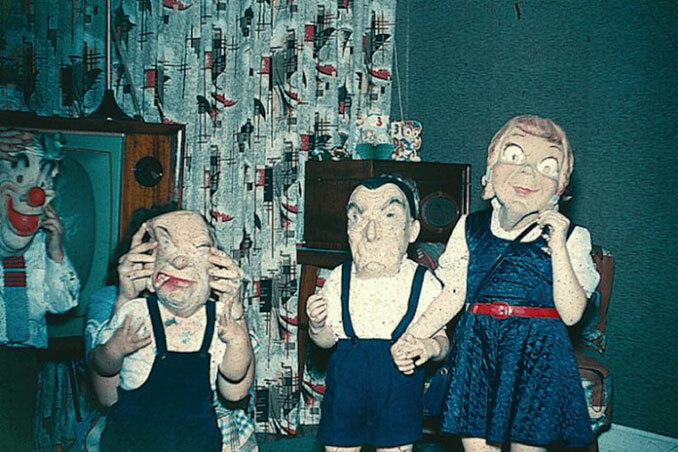 The photo shows four children wearing eerie masks. Each one is different and terrifying in their own right. What’s more unsettling, is that there is a woman hiding behind the child second from the left. Her long fingers are clutching at the child’s mask. It’s said that when the picture appeared on a dark web forum, several other users didn’t believe the warning and brazenly printed the photo out. Each of them said they’d report back in a few days. Weeks went by and no one replied to the photo thread. Finally one user came back and apologized for their absence as they said their son had bad appendicitis and had to be rushed to the hospital. Another user eventually returned saying that they had been unusually depressed and were suffering severe bouts of anxiety. The final user that printed out the picture never posted again. The community noted a few incoherent posts they’d left in other threads about beings in the woods before completely vanishing. The group speculated that he went mad and disappeared into the wilderness never to be seen again. Whether this story is true or not, it’s probably not worth tempting fate and playing around with this old, allegedly cursed photo. In late-2017, a mother took a cute photo of her daughter playing with a balloon, but when she reviewed the photo she was stunned at what she saw. Alice Budd from West Sussex, England took a series of photos of her daughter in their back garden. Budd was shocked to discover a person’s reflection in the balloon her daughter was holding. 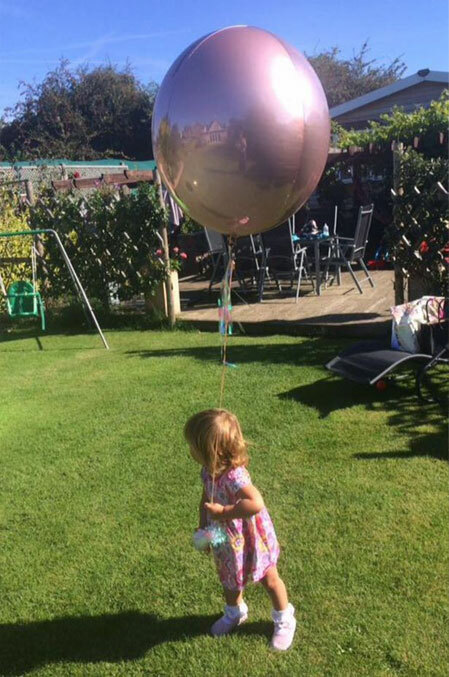 In the photo, there is indeed a ghostly figure reflected in the shiny surface of the balloon. The rather tall looking person appears to be wearing a vintage sun dress and is even casting a shadow across the lawn. Alice Budd immediately identified the woman as her late, great grandmother. 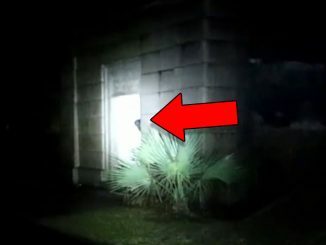 She believes her spirit was visiting the home to watch over her family. Alice was named after her great grandmother but never met her as she died before she was born, however she says there’s always been a strong connection. Alice claims, that when she was young she’d see a tall woman in their back garden when she was playing. She would tell her mum that she’s made a friend. The mysterious woman allegedly appeared in the garden for up to 18 months. Has the spirit of Alice’s great grandmother been visiting her all her life? Or is there a more reasonable explanation for the reflection in the balloon? 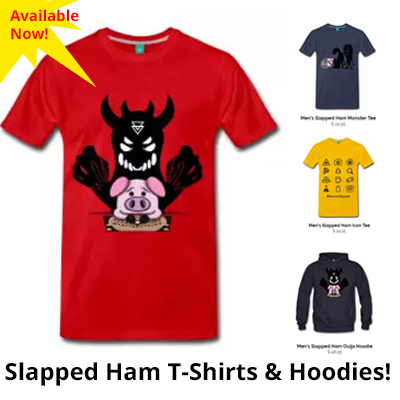 Love to get your opinion on this one in the comments below. Well there’s our look at some scary pictures that can’t be explained. 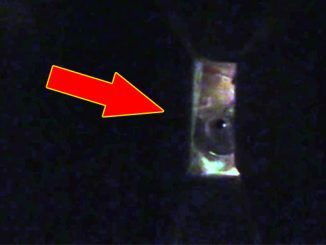 Do you have more rational explanations to these eerie photos? If yes, then let us know in the comments below or on any of our socials.